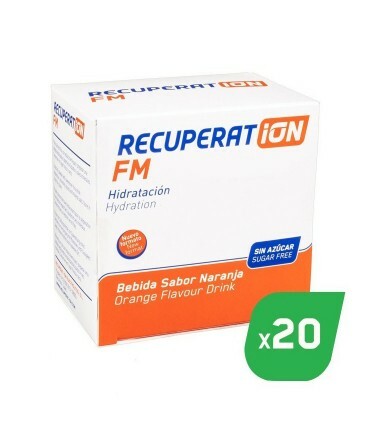 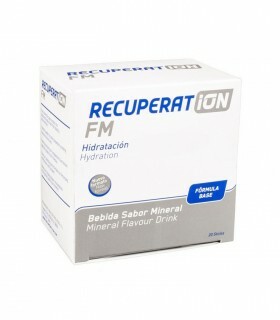 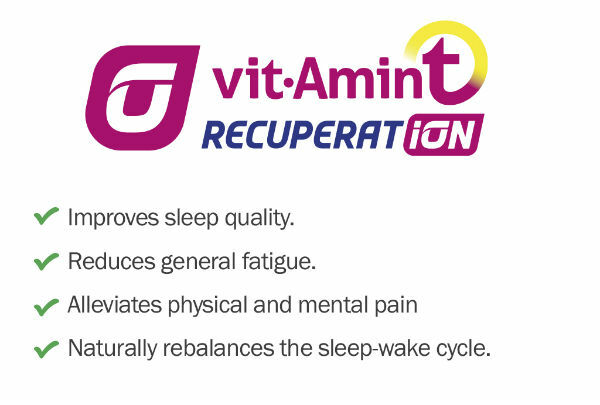 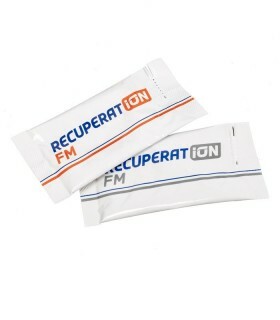 Recuperat-ion Recovery 3:1 is an instant drink for muscle recovery after intense and long-lasting exercises. 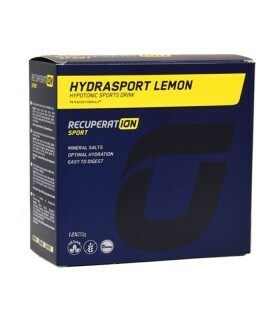 It contains the adequate proportion of Carbohydrates and proteins (3:1), amino acids, vitamins and minerals. 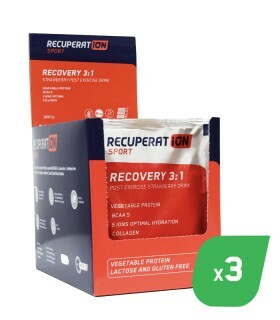 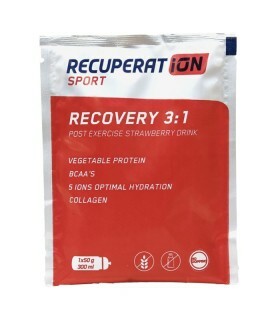 Recuperat-ion Recovery 3:1 is an instant strawberry flavour powder drink for muscle and organism recovery after intense exercise such as triathlon, trail, marathon, cycling, etc. 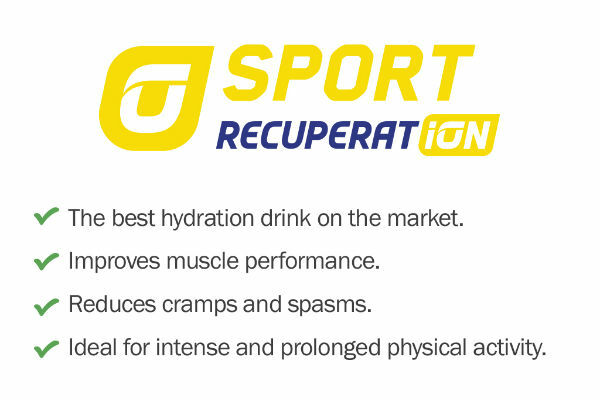 Designed to meet nutritional needs of the athlete after an intense and long-lasting exercise. 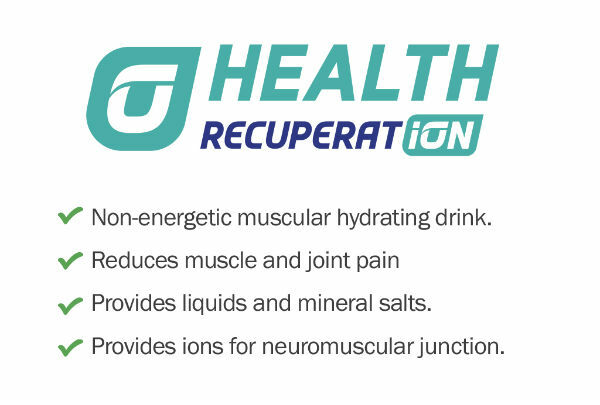 Its composition favors a fast and optimal recovery. It contains an adequate proportion of carbohydrates and proteins (3: 1), amino acids, vitamins and minerals, necessary for a good recovery and repair of the muscles as soon as possible. 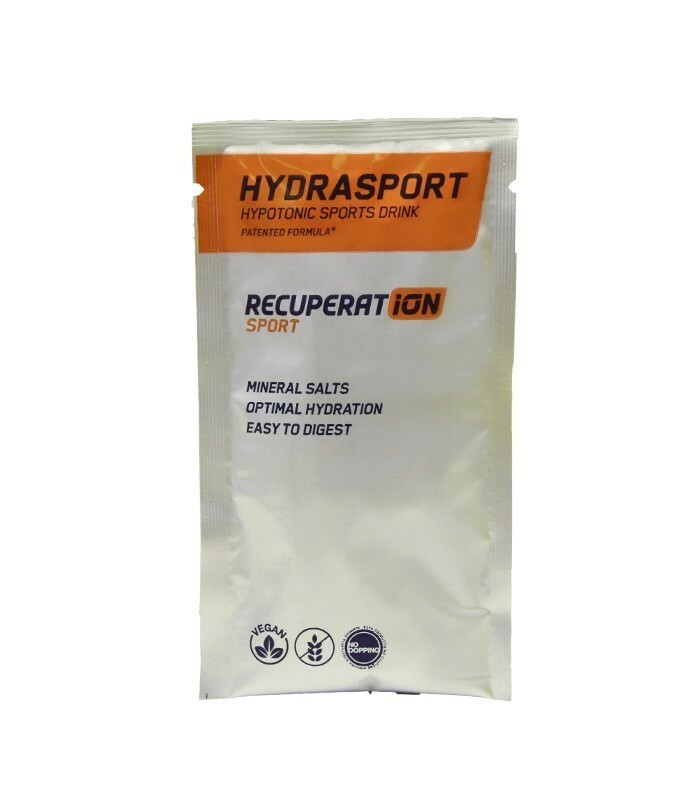 Carbohydrates, Pea protein, Collagen, BCAA's: Isoleucine, Leucine and Valine, vitamins: D and C and the Hydrasport mineral mix. Moderate exercise: 1 stick of 25 g in 150 ml of water. Intense exercise: 2 sticks of 50 g in 300 ml of water. 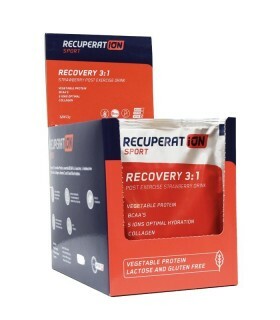 For a better and faster recovery it is important to take it in the 30 minutes after exercise to take advantage of the metabolic period which nutrients are absorbed more efficiently.